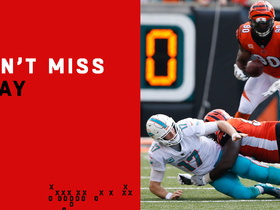 Billings provided one of the very few defensive highlights for the Bengals in their Sunday loss to the Chiefs, recording his first career sack. Analysis: Billings had a big preseason and there was some hope that he'd have a big impact this year, but instead his impact has been minimal, with only 11 tackles and this one sack over seven games. Billings had 1.5 sacks in Sunday's preseason win over the Bills. 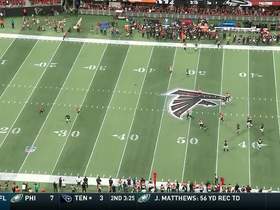 Analysis: Billings was a force on Sunday, combining with Carl Lawson and crew to total six sacks overall. He should play a much bigger role for the team this year after being limited in 2017, with the recent release of Chris Baker opening up plenty of opportunity for Billings in the coming season. Billings appears to be fully recovered from the knee injury that ended his 2016 season and limited him last year, Geoff Hobson of Bengals.com reports. Analysis: Billings is trying to fight for a starting defensive tackle spot alongside Geno Atkins, competing with Chris Baker and rookie Andrew Brown. 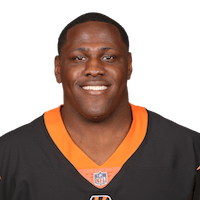 Billings (leg) was not listed on the Bengals' injury report Wednesday, Paul Dehner Jr. of The Cincinnati Enquirer reports. Analysis: Billings suffered the injury on the first defensive possession of Sunday's loss to the Vikings, but still played 38 of 65 snaps on the afternoon. The leg injury appears to have been minor and should not play a factor in the 27-year-old's availability for Week 16. Billings hurt his right leg during Sunday's game against the Vikings, Jay Morrison of the Dayton Daily News reports. Analysis: Billings tied a season high with four tackles (two solo) in Week 14. 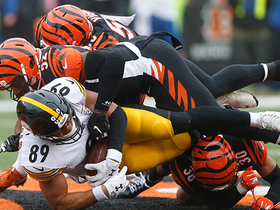 If he can't return to Sunday's game, it'll add to the injury woes on the Bengals' defense. Pat Sims and Ryan Glasgow will likely play an extended workload for the rest of the game.